How can I tag a profile? There are 2 ways of tagging a profile on LinkedIn. 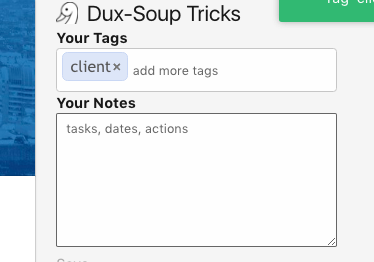 This means that when you click to "Visit Profiles" on Dux-Soup, you will see the robot running and a pop up indicating that it's tagging the profiles.